More than week ago, I got codes for the PlayStation Now beta and the Destiny Alpha. So, I opened up the PlayStation app on my iPhone to redeem them, only to be quickly reminded how bad the app is. It may sound weird but code redemption is the main reason I installed the PlayStation iOS app. I like to redeem codes for games that I'm reviewing or checking out as soon as possible, in case the code doesn't work or there's some other problem I need to resolve. Months ago, it seemed like the app would be a better way to enter text, as opposed to fiddling with the terrible typing that happens when using the PS4 controller. But the annoyance of doing such a simple thing like redeeming a code eliminates any convenience the PlayStation app offers. 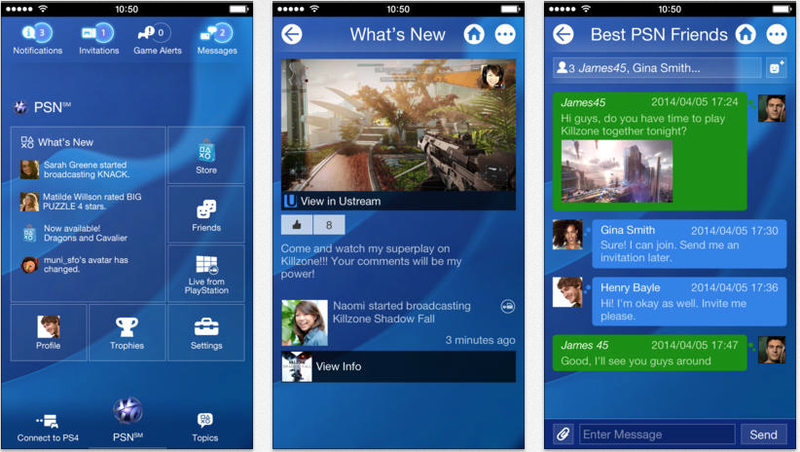 The design of the in-app dashboard promises to let you connect to various aspects of PlayStation online services easily. But it's at least three clicks to redeem a code, a number that's just way too many. What winds up happening is that you get shunted to the mobile version of Apple's Safari browser. A lot. Want to sign in? The app opens a Safari window. Need to go to the store? Opens another Safari window. Checking your account details? Yes, a new browser window. And you probably have to sign in again, even if you've just done so. These quirks presumably exist to avoid being routed through another company's marketplace infrastructure—and any transaction tariffs that might entail—and to maintain password security. But the same goes for watching PS4 live-streaming on the app, which you don't have to pay for. Tap on one of the streams inside the Live from PlayStation box and you'll get booted back to Safari again, with an option to open the stream in a specific Twitch or Ustream app. Yes, the messaging elements work as advertised. And being able to see activity feeds and manage friend requests on the go is fine, too. But overall, the experience continues to feel half-baked, as if Sony knows the iOS space is too important to ignore but really couldn't be bothered to put a real effort. It'd be nice if I could open the PlayStation app one day and be impressed more at what it actually does, instead of being reminded of what I wished it could do.